It’s fascinating for us to learn about all the brilliant ways SoGoSurvey is used for academic and science research. Especially when that research behooves our animal friends because, okay, we admit it, we’re all softies for animals here. Morrin used SoGoSurvey to create three surveys: for zoo visitors, for primate caretakers, and for primate veterinary staff. She used multiple question types including radio buttons, multi-select check boxes and open ended questions. This will allow her to analyze and cross-reference which behaviors have been seen, in which species, which interventions have been tried, barriers to implementation, and intervention success rates. But the survey research doesn’t end there. 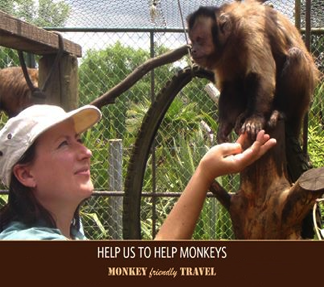 Morrin plans to communicate her results with zoos and primate caretakers so recommendations and best practices can be shared between facilities.